My momma’s mantra, “There’s no such thing as too much Key lime pie” is something I’ve always subscribed to, so this September I hit the road to test out her theory. My objective: find the perfect piece of Key lime pie. This perfect pie would have a lighter filling with a faultless balance of sweet and tart. 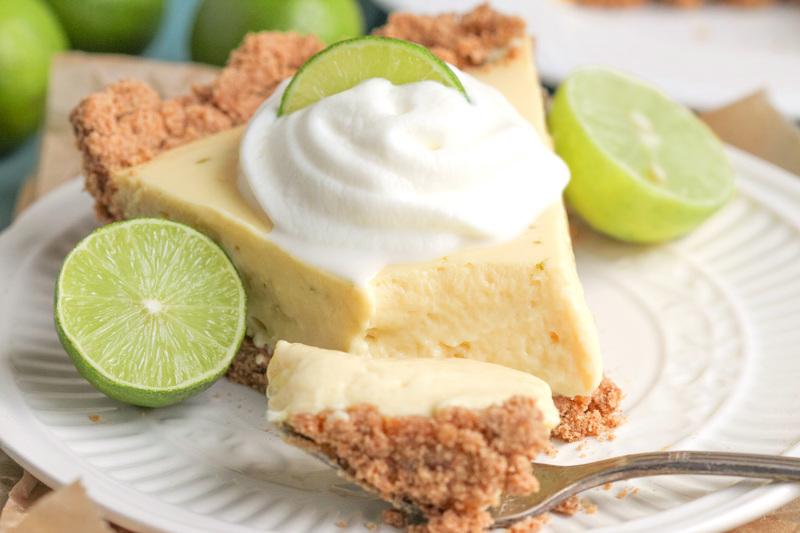 Key lime pie should be sweet, but lime really is the “key” ingredient to a perfect pie, not the sugar. My strategy was fairly simple. 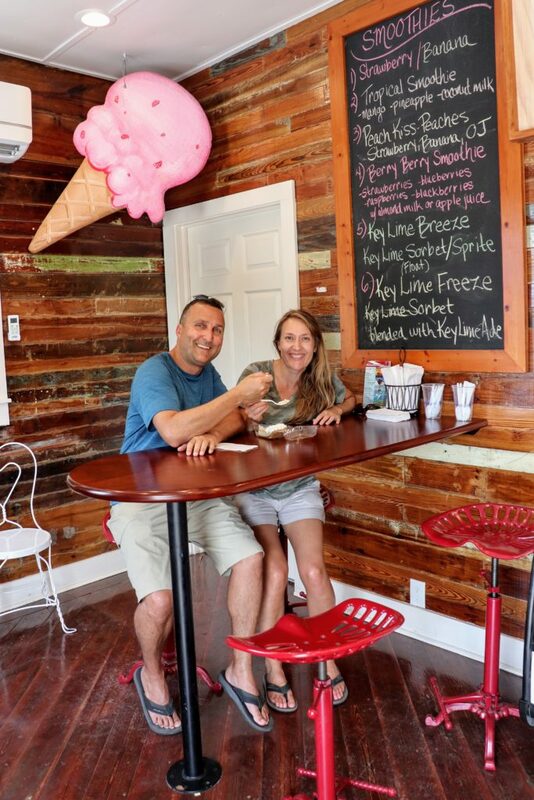 I would start in Key Largo and sample every available Key lime pie until reaching the end of Key West. As it turned out, finding the perfect piece of pie was no piece of cake! I can’t remember how many rich, dense and syrupy sweet pieces of pie I ate through, all while sacrificing my body for the sake of the cause. However, it paid off! Yeah, I know…what a rough job, but someone had to do it! 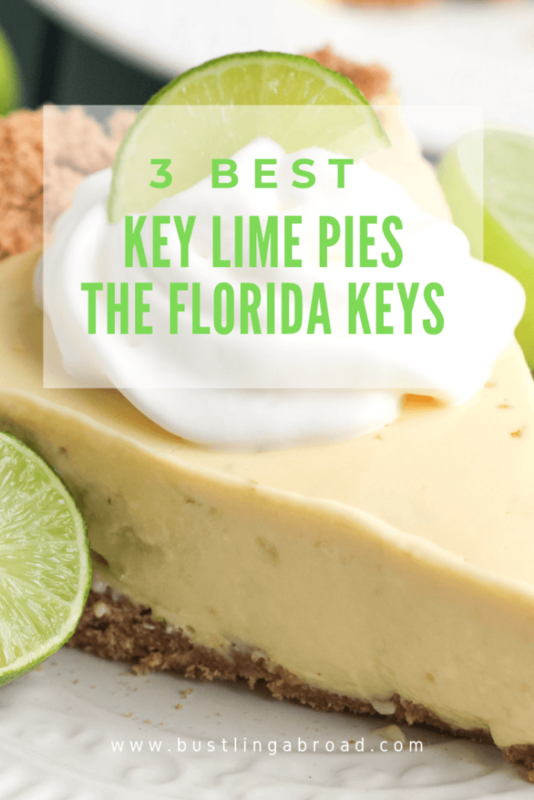 Without further ado here are (in my opinion) the three best Key lime pies in the Florida Keys. 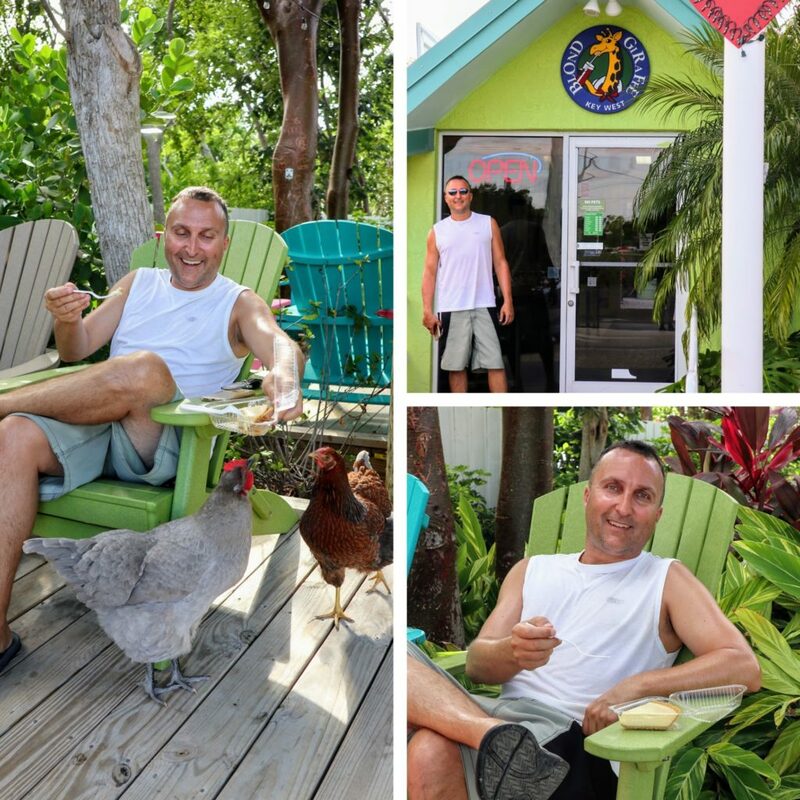 When I first walked into Kermit’s in Key West it took all of me not to bolt out. It was a larger shop with all kinds of lime flavored gifts, souvenirs and obnoxious tourists. My first thought was, “This place, although very cute, is so not me”. Let’s get real, when was the last time you found the best of anything in an overcrowded tourist shop? However, since my momma’s mantra still burned in my ears, I reluctantly ordered a plain piece of Key lime pie. Collecting my pie I noticed they had several other flavors like blueberry lime and strawberry lime but I was still skeptical. Fighting my way through the crowds I made my way to a beautiful patio and koi fish pond where I took the last seats. Wow was my prejudice shattered with just one bite! It turned out that finding the perfect Key lime pie wasn’t just pie in the sky. After my first bite of delightfully dreamy, lightly whipped, perfectly limey and not too sweet pie, I yanked it away from my husband and joked that we were no longer sharing! He literally had to beg me from getting up and ordering a strawberry lime and blueberry lime piece of pie. Unlike my momma and me, he feels you CAN actually eat too much Key lime pie. I slowly sat back down, sighing in contentment, and pondered that ironically–at my last stop–I had finally found THE perfect piece of Key lime pie…albeit in an overrun tourist trap. 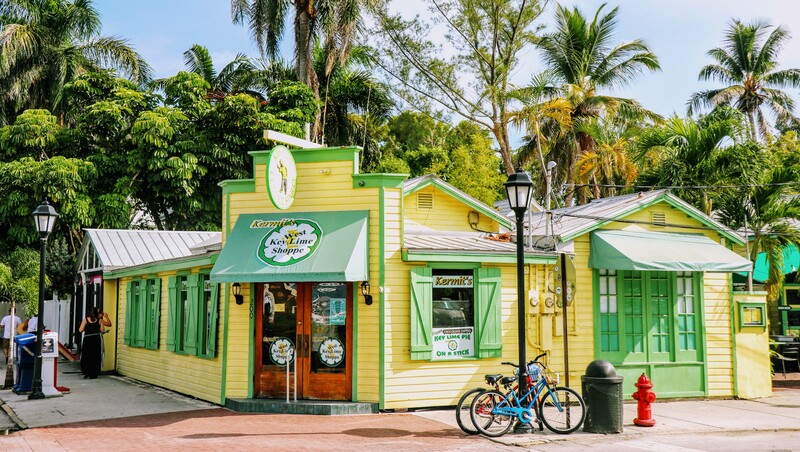 There is so much great Key lime pie in the Florida Keys! So take your BFF or your sweetie pie on your own perfect pie adventure. 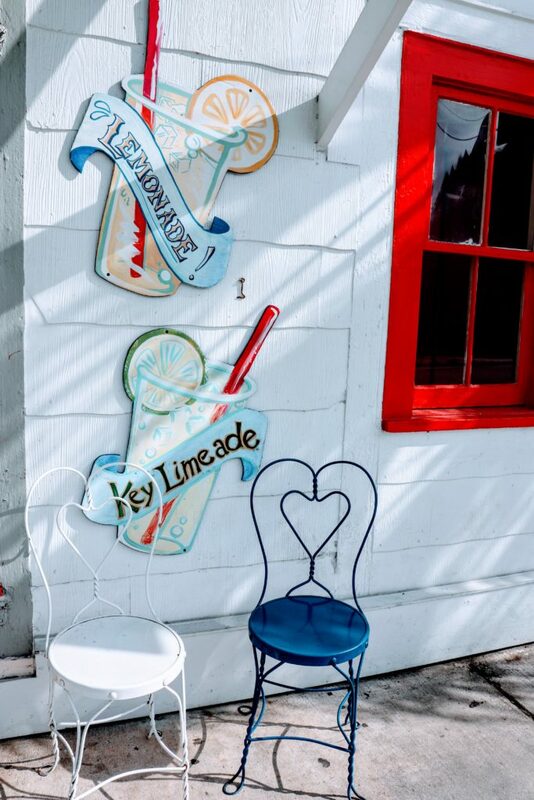 Have you already been to Key West or done a road trip down the Florida Keys? 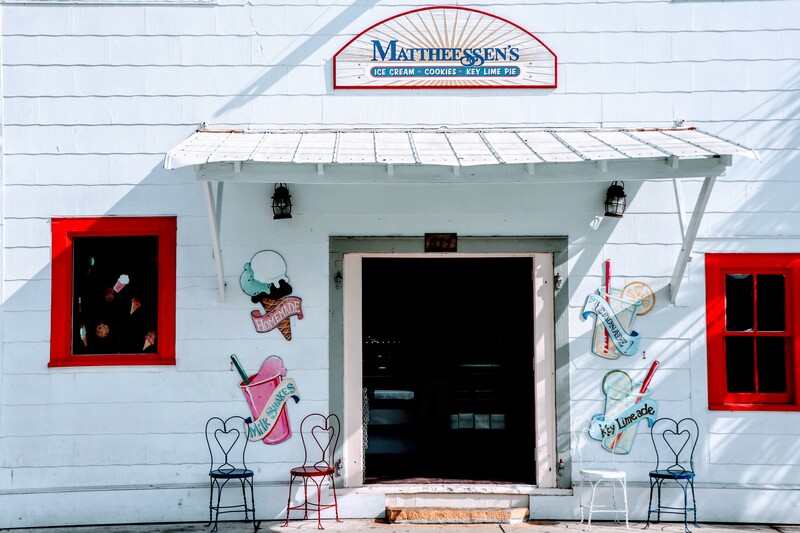 I’d love to hear what and where your favorite stops were along the way or where you found your perfect pie! Scroll down to the end of the page and drop me a comment. Thanks, and bon voyage! 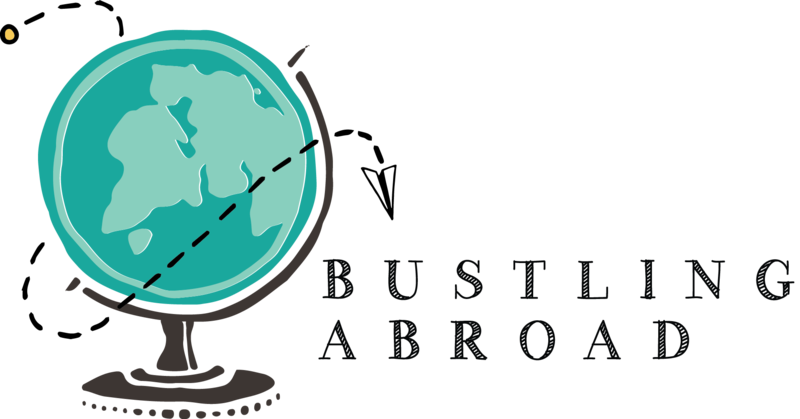 Travel journalist and blogger for BustlingAbroad.com who finds humor and meaning in life's misadventures. Enjoys exploring the world through ultralight travel, outdoor adventures, and great vegetarian cuisine. I’m drooling for key lime pie after reading the article. Well done my daughter. Hope to make it to some of those places some day. Thanks! I know a perfect person who can plan a Florida Keys adventure for you. Let’s make it happen!